My 5 December 2012 interview by Mr Paranjoy Guha Thakurta, on Lok Sabha TV, the channel of India’s Lower House of Parliament, broadcast for the first time on 9 December 2012 on Lok Sabha TV, is here and here in two parts. My interview by GDI Impuls banking quarterly of Zürich published on 6 Dec 2012 is here. My interview by Ragini Bhuyan of Delhi’s Sunday Guardian published on 16 Dec 2012 is here. Coverage in The *Asian Age*/*Deccan Herald* of 4 Dec 2012. 3. Jagdish Bhagwati & Manmohan Singh? That just don’t fly! 4. 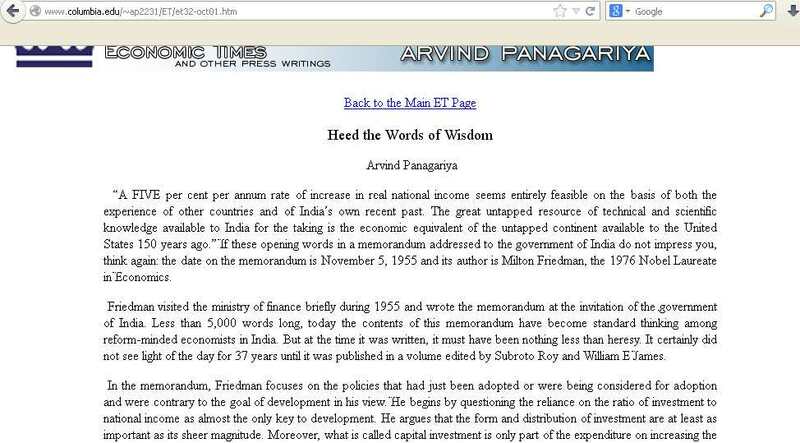 Amartya Sen’s Half-Baked Communism: “To each according to his need”? From these pronouncements it seems fair to conclude Professors Bhagwati and Panagariya are claiming Bhagwati has been the principal author of “the intellectual origins” of India’s 1991 reforms, has been their “intellectual father” or at the very least has been “among the intellectual pioneers” of the reform (“among” his own collaborators and friends, since none else is mentioned). Bhagwati has said too his friend Manmohan Singh as Finance Minister participated in the process while quoting Manmohan as having said Bhagwati was the principal author. 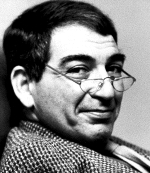 In my experience, such sorts of claims, even in their weakest form, have been, at best, scientifically sloppy and unscholarly, at worst mendacious suppressio veri/suggestio falsi, and in between these best and worst interpretations, examples of academic self-delusion and mutual flattery. We shall see Bhagwati’s opponent, Amartya Sen, has denied academic paternity of recent policies he has spawned while appearing to claim academic paternity of things he has not! Everyone may have reasonably expected greater self-knowledge, wisdom and scholarly values of such eminent academics. Their current spat has instead seemed to reveal something rather dismal and self-serving. You can decide for yourself where the truth, ever such an elusive and fragile thing, happens to be and what is best done about it. Here is some evidence. In 2004 from Britain, I wrote to the 9/11 Commission saying if our plan to study Afghanistan after India and Pakistan had not been thwarted by malign local forces among our sponsors themselves, we, a decade before the September 11 2001 attacks on the USA, may just have come up with a pre-emptive academic analysis. It was not to be. Milton Friedman’s chapter that we published for the first time was a memorandum he wrote in November 1955 for the Government of India which the GoI had effectively suppressed. I came to know of it while a doctoral student at Cambridge under Frank Hahn, when at a conference at Oxford about 1979-1980, Peter Tamas Bauer sat me down beside him and told me the story. Later in Blacksburg about 1981, N. Georgescu-Roegen on a visit from Vanderbilt University told me the same thing. Specifically, Georgescu-Roegen told me that leading Indian academics had almost insulted Milton in public which Milton had borne gamely; that after Milton had given a talk in Delhi to VKRV Rao’s graduate-students, a talk Georgescu-Roegen had been present at, VKRV Rao had addressed the students and told them in all seriousness “You have heard what Professor Friedman has to say, if you repeat what he has said in your exams, you will fail”. My late great master in economic theory, Frank Hahn (1925-2013), found what I had written to be a “good thesis” bringing “a good knowledge of economics and of philosophy to bear on the literature on economic planning”, saying I had shown “a good knowledge of economic theory” and my “critique of Development Economics was powerful not only on methodological but also on economic theory grounds”. I myself said about it decades later “My original doctoral topic in 1976 ‘A monetary theory for India’ had to be altered not only due to paucity of monetary data at the time but because the problems of India’s political economy and allocation of resources in the real economy were far more pressing. The thesis that emerged in 1982 … was a full frontal assault from the point of view of microeconomic theory on the “development planning” to which everyone routinely declared their fidelity, from New Delhi’s bureaucrats and Oxford’s “development” school to McNamara’s World Bank with its Indian staffers. Frank Hahn protected my inchoate liberal arguments for India; and when no internal examiner could be found, Cambridge showed its greatness by appointing two externals, Bliss at Oxford and Hutchison at Birmingham, both Cambridge men. 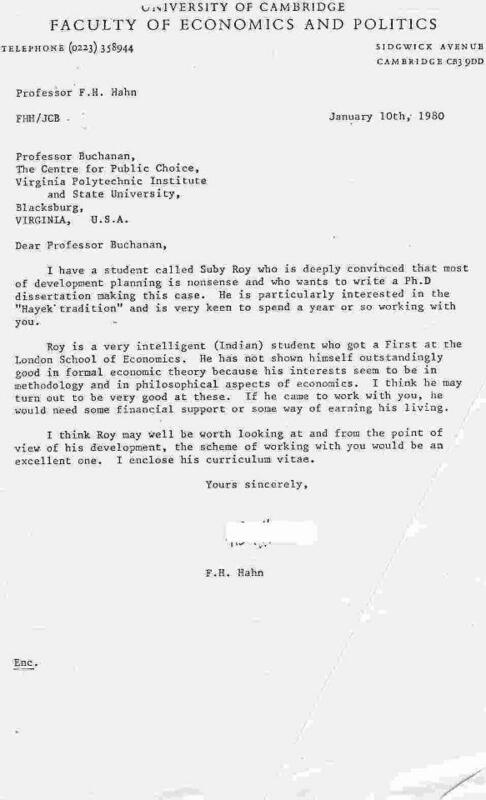 “Economic Theory and Development Economics” was presented to the American Economic Association in December 1982 in company of Solow, Chenery, Streeten, and other eminences…” How I landed on that eminent AEA panel in December 1982 was because its convener Professor George Rosen of the University of Illinois recruited me overnight — as a replacement for Jagdish Bhagwati, who had had to return to India suddenly because of a parental death. The results were published in 1983 in World Development. 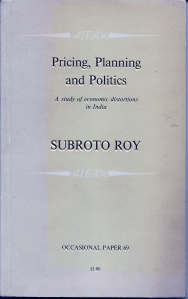 Soon afterwards, London’s Institute of Economic Affairs published Pricing, Planning and Politics: A Study of Economic Distortions in India. This slim work was the first classical liberal critique of post-Mahalonobis Indian economic thought since BR Shenoy’s original criticism decades earlier. 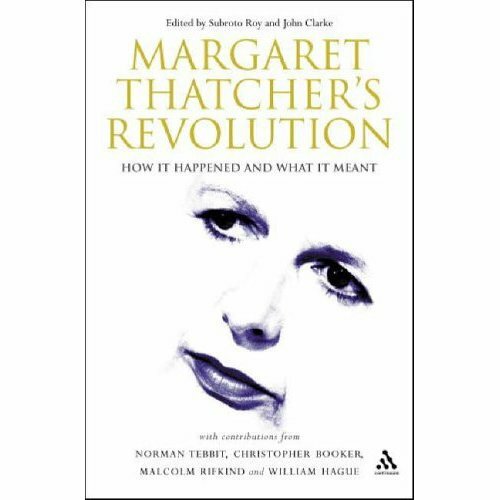 It became the subject of The Times’ lead editorial on its day of publication 29 May 1984 — provoking the Indian High Commission in London to send copies to the Finance Ministry in Delhi where it apparently caused a stir, or so I was told years later by Amaresh Bagchi who was a recipient of it at the Ministry. “When Mr. Dennis Healey in the Commons recently stated that Hongkong, with one per cent of the population of India has twice India’s trade, he was making an important point about Hongkong but an equally important point about India. If Hongkong with one per cent of its population and less than 0.03 per cert of India’s land area (without even water as a natural resource) can so outpace India, there must be something terribly wrong with the way Indian governments have managed their affairs, and there is. A paper by an Indian economist published today (Pricing, Planning and Politics: A Study of Economic Distortions in India by Subroto Roy, IEA £1.80) shows how Asia’s largest democracy is gradually being stifled by the imposition of economic policies whose woeful effect and rhetorical unreality find their echo all over the Third World. As with many of Britain’s former imperial possessions, the rot set in long before independence. But as with most of the other former dependencies, the instrument of economic regulation and bureaucratic control set up by the British has been used decisively and expansively to consolidate a statist regime which inhibits free enterprise, minimizes economic success and consolidates the power of government in all spheres of the economy. We hear little of this side of things when India rattles the borrowing bowl or denigrates her creditors for want of further munificence. How could Indian officials explain their poor performance relative to Hongkong? Dr Roy has the answers for them. He lists the causes as a large and heavily subsidized public sector, labyrinthine control over private enterprise, forcibly depressed agricultural prices, massive import substitution, government monopoly of foreign exchange transactions, artificially overvalued currency and the extensive politicization of the labour market, not to mention the corruption which is an inevitable side effect of an economy which depends on the arbitrament of bureaucrats. The first Indian government under Nehru took its cue from Nehru’s admiration of the Soviet economy, which led him to believe that the only policy for India was socialism in which there would be “no private property except in a restricted sense and the replacement of the private profit system by a higher ideal of cooperative service.” Consequently, the Indian government has now either a full monopoly or is one of a few oligipolists in banking, insurance, railways, airlines, cement, steel, chemicals, fertilizers, ship-building, breweries, telephones and wrist-watches. No businessman can expand his operation while there is any surplus capacity anywhere in that sector. He needs government approval to modernize, alter his price-structure, or change his labour shift. It is not surprising that a recent study of those developing countries which account for most manufactured exports from the Third World shows that India’s share fell from 65 percent in 1953 to 10 per cent in 1973; nor, with the numerous restrictions on inter-state movement of grains, that India has over the years suffered more from an inability to cope with famine than during the Raj when famine drill was centrally organized and skillfully executed without restriction. Nehru’s attraction for the Soviet model has been inherited by his daughter, Mrs. Gandhi. Her policies have clearly positioned India more towards the Soviet Union than the West. The consequences of this, as Dr Roy states, is that a bias can be seen in “the antipathy and pessimism towards market institutions found among the urban public, and sympathy and optimism to be found for collectivist or statist ones.” All that India has to show for it is the delivery of thousands of tanks in exchange for bartered goods, and the erection of steel mills and other heavy industry which help to perpetuate the unfortunate obsession with industrial performance at the expense of agricultural growth and the relief of rural poverty.”…..
Milton and I met for the first time in the Fall of 1984 at the Mont Pelerin Society meetings at Cambridge when I gave him a copy of the IEA monograph, which he came to think extremely well of. I told him I had heard of his 1955 document and asked him for it; he sent me the original blue/purple version of this soon thereafter. Amartya Sen, Jagdish Bhagwati, Manmohan Singh or any of their acolytes will not be seen in this group photograph dated 21 May 1989 at the UH President’s House, because they were not there. 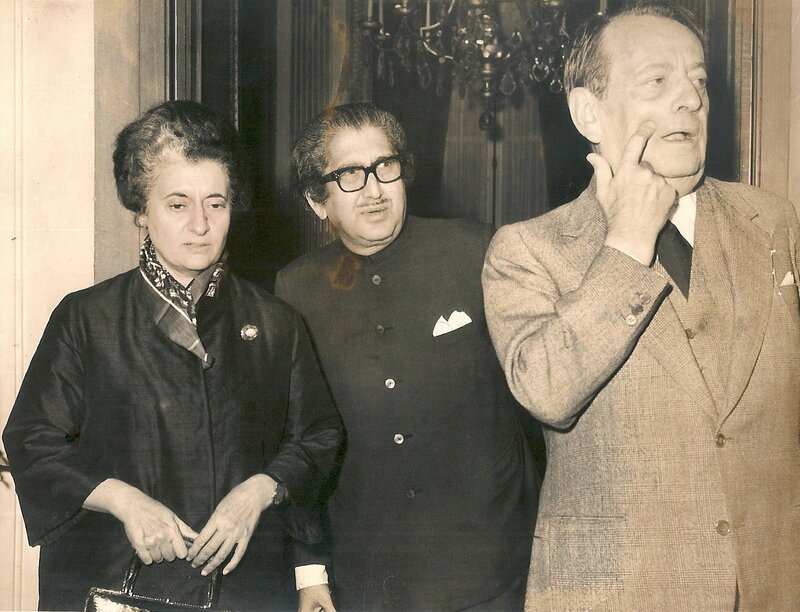 The Government of India was represented by the Ambassador to Washington, PK Kaul, as well as the Consul General in San Francisco, KS Rana (later Ambassador to Germany), besides the founding head of ICRIER who had invited himself. Manmohan Singh was not there as he precisely represented the Indian economic policy establishment I had been determined to reform! In any case, he had left India about 1987 on his last assignment before retirement, with Julius Nyerere of Tanzania relating to the “South-South Commission”. I have said over more than a half dozen years now that there is no evidence whatsoever of Manmohan Singh having been a liberal economist in any sense of that word at any time before 1991, and scant evidence that he originated any liberal economic ideas since. The widespread worldwide notion that he is to be credited for originating a sudden transformation of India from a path of pseudo-socialism to one of pseudo-liberalism has been without basis in evidence — almost entirely a political fiction, though an explicable one and one which has served, as such political fictions do, the purposes of those who invent them. Jagdish Bhagwati and Amartya Sen were in their mid 50s and were two of the three senior-most Indians in US academic economics at the time. I and Ted James, both in our 30s, decided to invite both Bhagwati and Sen to the Hawaii project-conference as distinguished guests but to do so somewhat insincerely late in the day, predicting they would decline, which is what they did, yet they had come to be formally informed of what we were doing. We had a very serious attitude that was inspired a bit, I might say, by Oppenheimer’s secret “Manhattan project” and we wanted neither press-publicity nor anyone to become the star who ended up hogging the microphone or the limelight. Besides, and most important of all, neither Bhagwati nor Sen had done work in the areas we were centrally interested in, namely, India’s macroeconomic and foreign trade framework and fiscal and monetary policies. Bhagwati, after his excellent 1970 work with Padma Desai for the OECD on Indian industry and trade, also co-authored with TN Srinivasan a fine 1975 volume for the NBER Foreign Trade Regimes and Economic Development: India. 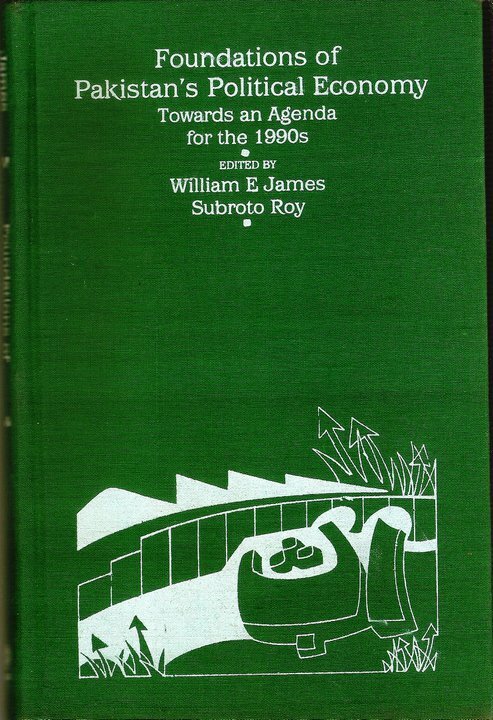 TN Srinivasan was the third of the three senior-most Indian economists at the time in US academia; his work made us want to invite him as one of our main economic authors, and we charged him with writing the excellent chapter in Foundations that he came to do titled “Planning and Foreign Trade Reconsidered”. The other main economist author we had hoped for was Sukhamoy Chakravarty from Delhi University and the Government of India’s Planning Commission, whom I had known since 1977 when I had been given his office at the Delhi School of Economics as a Visiting Assistant Professor while he was on sabbatical; despite my pleading he would not come due to ill health; he strongly recommended C Rangarajan, telling me Rangarajan had been the main author with him of the crucial 1985 RBI report on monetary policy; and he signed and gave me his last personal copy of that report dating it 14 July 1987. Rangarajan said he could not come and recommended the head of the NIPFP, Amaresh Bagchi, promising to write jointly with him the chapter on monetary policy and public finance. 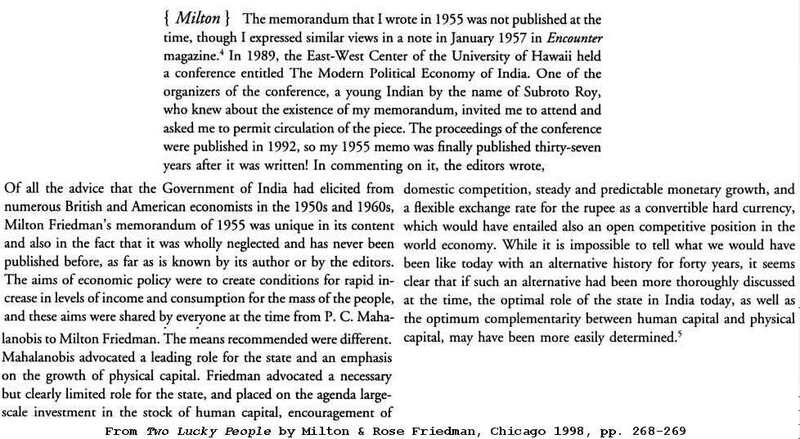 Along with Milton Friedman’s suppressed 1955 memorandum which I was publishing for the first time in 1989, TN Srinivasan and Amaresh Bagchi authored the three main economic policy chapters that we felt we wanted. 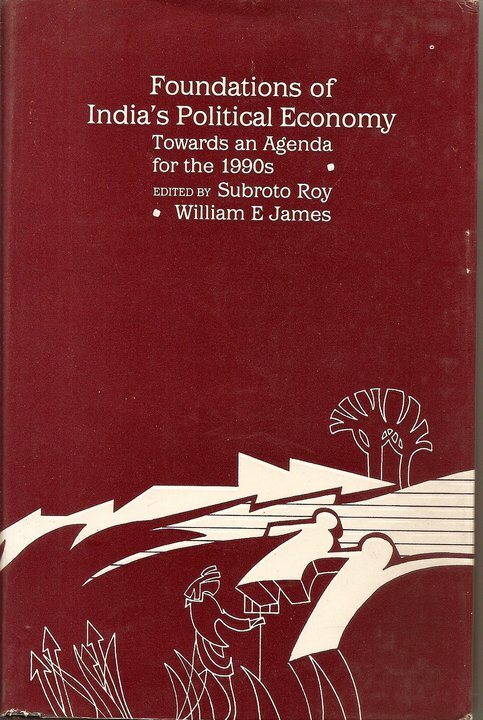 Other chapters we commissioned had to do with the state of governance (James Manor), federalism (Bhagwan Dua), Punjab and similar problems (PR Brass), agriculture (K Subbarao, as proposed by CH Hanumantha Rao), health (Anil Deolalikar, through open advertisement), and a historical assessment of the roots of economic policy (BR Tomlinson, as proposed by Anil Seal). On the vital subject of education we failed to agree with the expert we wanted very much (JBG Tilak, as proposed by George Psacharopolous) and so we had to cover the subject cursorily in our introduction mentioning his work. And decades later, I apologised to Professor Dietmar Rothermund of Heidelberg University for having been so blinkered in the Anglo-American tradition at the time as to not having obtained his participation in the project. In August 1990 in Delhi I came to tell Siddhartha Shankar Ray about the unpublished India-manuscript resulting from the Hawaii project that was in my possession as it headed to its publisher. Ray was a family-friend whose maternal grandfather CR Das led the Congress Party before MK Gandhi and had been a friend and colleague of my great grandfather SN Roy in Bengal’s politics in the 1920s; Ray had also consented to stand on my behalf as Senior Counsel in a matter in the Supreme Court of India. Ray was involved in daily political parlays at his Delhi home with other Congress Party personages led by PV Narasimha Rao. These senior regional figures seemed to me to be keeping their national leader, Rajiv Gandhi, aloof in splendid isolation at 10 Jan Path. Ray told me he and his wife had been in London in May 1984 on the day The Times had written its lead editorial on my work and they had seen it with excitement. Upon hearing of the Hawaii project and the manuscript I had with me, Ray immediately insisted of his own accord that I must meet Rajiv Gandhi, and that he would be arranging a meeting. Hence it came to be a month later that a copy of the manuscript of the completed Hawaii project was be given by my hand on 18 September 1990 to Rajiv Gandhi, then Leader of the Opposition and Congress President, an encounter I have quite fully described elsewhere. I offered to get a copy to the PM, VP Singh, too but a key aide of his showed no interest in receiving it. Rajiv made me a senior adviser, and I have claimed principal authorship of the 22 March 1991 draft of the Congress manifesto that actually shook and changed the political thinking of the Congress on economic matters in the direction Rajiv had desired and as I had advised him at our initial 18 September 1990 meeting. “… He began by talking about how important he felt panchayati raj was, and said he had been on the verge of passing major legislation on it but then lost the election. He asked me if I could spend some time thinking about it, and that he would get the papers sent to me. I said I would and remarked panchayati raj might be seen as decentralized provision of public goods, and gave the economist’s definition of public goods as those essential for the functioning of the market economy, like the Rule of Law, roads, fresh water, and sanitation, but which were unlikely to appear through competitive forces. Our project had identified the Congress’s lack of internal elections as a problem; when I raised it, Rajiv spoke of how he, as Congress President, had been trying to tackle the issue of bogus electoral rolls. I said the judiciary seemed to be in a mess due to the backlog of cases; many of which seemed related to land or rent control, and it may be risky to move towards a free economy without a properly functioning judicial system or at least a viable system of contractual enforcement. I said a lot of problems which should be handled by the law in the courts in India were instead getting politicised and decided on the streets. Rajiv had seen the problems of the judiciary and said he had good relations with the Chief Justice’s office, which could be put to use to improve the working of the judiciary. The project had worked on Pakistan as well, and I went on to say we should solve the problem with Pakistan in a definitive manner. 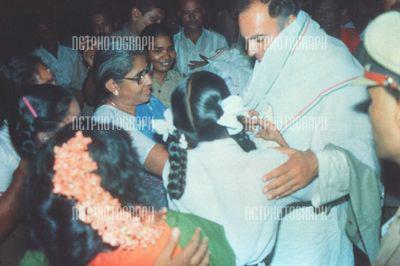 Rajiv spoke of how close his government had been in 1988 to a mutual withdrawal from Siachen. But Zia-ul-Haq was then killed and it became more difficult to implement the same thing with Benazir Bhutto, because, he said, as a democrat, she was playing to anti-Indian sentiments while he had found it somewhat easier to deal with the military. I pressed him on the long-term future relationship between the countries and he agreed a common market was the only real long-term solution. I wondered if he could find himself in a position to make a bold move like offering to go to Pakistan and addressing their Parliament to break the impasse. He did not say anything but seemed to think about the idea. Rajiv mentioned a recent Time magazine cover of Indian naval potential, which had caused an excessive stir in Delhi. He then talked about his visit to China, which seemed to him an important step towards normalization. He said he had not seen (or been shown) any absolute poverty in China of the sort we have in India. He talked about the Gulf situation, saying he did not disagree with the embargo of Iraq except he wished the ships enforcing the embargo had been under the U.N. flag. The meeting seemed to go on and on, and I was embarrassed at perhaps having taken too much time and that he was being too polite to get me to go. V. George had interrupted with news that Sheila Dixit (as I recall) had just been arrested by the U. P. Government, and there were evidently people waiting. Just before we finally stood up I expressed a hope that he was looking to the future of India with an eye to a modern political and economic agenda for the next election, rather than getting bogged down with domestic political events of the moment. That was the kind of hopefulness that had attracted many of my generation in 1985. I said I would happily work in any way to help define a long-term agenda. His eyes lit up and as we shook hands to say goodbye, he said he would be in touch with me again…. The next day I was called and asked to stay in Delhi for a few days, as Mr. Gandhi wanted me to meet some people….. In December 1991, I visited Rajiv’s widow at 10 Jan Path to express my condolences, the only time I have met her, and I gave her for her records a taped copy of Rajiv’s long-distance telephone conversations with me during the Gulf War earlier that year. She seemed an extremely shy taciturn figure in deep mourning, and I do not think the little I said to her about her late husband’s relationship with me was comprehended. Nor was it the time or place for more to be said. “Congress manifesto was written on his computer”. This was accurate enough to the extent that the 22 March 1991 draft as asked for by Rajiv and that came to explicitly affect policy had been and remains on my then-new NEC laptop. At the Ambassador’s luncheon, I gave Manmohan Singh a copy of the Foundations book as a gift. My father who knew him in the early 1970s through MG Kaul, ICS, had sent him a copy of my 1984 IEA monograph which Manmohan had acknowledged. And back in 1973, he had visited our then-home at 14 Rue Eugene Manuel in Paris to advise me about economics at my father’s request, and he and I had ended up in a fierce private debate for about forty minutes over the demerits (as I saw them) and merits (as he saw them) of the Soviet influence on Indian economic policy-making. But in 1993 we had both forgotten the 1973 meeting. In May 2002, the Congress passed an official party resolution moved by Digvijay Singh in presence of PV Narasimha Rao and Manmohan Singh that the 1991 reforms had originated with Rajiv Gandhi and not with either Narasimha Rao or Manmohan; no one dissented. It was intended to flatter Sonia Gandhi as the Congress President, but there was truth in it too which all Congress MPs of the 13th Lok Sabha had come to know in a publication of mine they had received from me at IIT Kharagpur where since 1996 I had become Professor. Manmohan Singh himself, to his credit, has not at any point, except once during his failed Lok Sabha bid, claimed the reforms as his own invention and has said always he had followed what his Prime Minister had told him. However, he has not been averse to being attributed with all the credit by his flatterers, by the media, by businessmen and many many others around the world, and certainly he did not respond to Ambassador Siddhartha Shankar Ray telling him and his key aides how the Congress-led reform had come about through my work except to tell me at the 1993 luncheon that when Arjun Singh criticised the reforms in Cabinet, he, Manmohan, would mention the manifesto. How Sonia Gandhi, who has never had pretensions to knowledge of economics or political economy or political science or governance or history, came to place Manmohan Singh as her prime ministerial candidate and the font of economic and political wisdom along with Pranab Mukherjee, when both men hardly had been favourites of her late husband, would be a story in its own right. And how Amartya Sen’s European-origin naturalised Indian co-author Jean Drèze later came to have policy influence from a different direction upon Sonia Gandhi, also a naturalised Indian of European origin, may be yet another story in its own right, perhaps best told by themselves. I would surmise the same elderly behind-the-scenes figure, now in his late 80s, had a hand in setting up both sets of influences — directly in the first case (from back in 1990-1991), and indirectly in the second case (starting in 2004) . This was a man who in a November 2007 newspaper article literally erased my name and inserted that of Manmohan Singh as part of the group that Rajiv created on 25 September following his 18 September meeting with me! Reluctantly, I had to call this very elderly man a liar; he has not denied it and knows he has not been libeled. One should never forget the two traditional powers interested in the subcontinent, Russia and Britain, have been never far from influence in Delhi. In 1990-1991 what worried vested bureaucratic and business interests and foreign powers through their friends and agents was that they could see change was coming to India but they wanted to be able to control it themselves to their advantage, which they then broadly proceeded to do over the next two decades. The foreign weapons’ contracts had to be preserved, as did other big-ticket imports that India ends up buying needlessly on credit it hardly has in world markets. There are similarities to what happened in Russia and Eastern Europe where many apparatchiks and fellow-travellers became freedom-loving liberals overnight; in the Indian case more than one badly compromised pro-USSR senior bureaucrat promptly exported his children and savings to America and wrapped themselves in the American flag. The stubborn unalterable fact remains that Manmohan Singh was not physically present in India and was still with the Nyerere project on 18 September 1990 when I met Rajiv for the first time and gave him the unpublished results of the UH-Manoa project. This simple straightforward fact is something the Congress Party, given its own myths and self-deception and disinformation, has not been able to cope with in its recently published history. 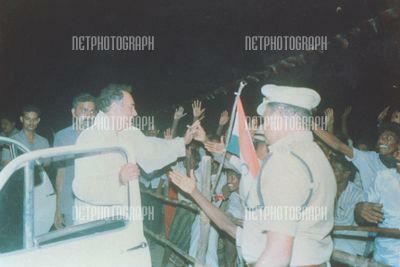 For myself, I have remained loyal to my memory of my encounter with Rajiv Gandhi, and my understanding of him. The Rajiv Gandhi I knew had been enthused by me in 1990-1991 carrying the UH-Manoa perestroika-for-India project that I had led since 1986, and he had loved my advice to him on 18 September 1990 that he needed to modernise the party by preparing a coherent agenda (as other successful reformers had done) while still in Opposition waiting for elections, and to base that agenda on commitments to improving the judiciary and rule of law, stopping the debauching of money, and focusing on the provision of public goods instead. Rajiv I am sure wanted a modern and modern-minded Congress — not one which depended on him let aside his family, but one which reduced that dependence and let him and his family alone. As for Manmohan Singh being a liberal or liberalising economist, there is no evidence publicly available of that being so from his years before or during the Nyerere project, or after he returned and joined the Chandrashekhar PMO and the UGC until becoming, to his own surprise as he told Mark Tully, PV Narasimha Rao’s Finance Minister. Some of his actions qua Finance Minister were liberalising in nature but he did not originate any basic idea of a change in a liberal direction of economic policy, and he has, with utmost honesty honestly, not claimed otherwise. Innumerable flatterers and other self-interested parties have made out differently, creating what they have found to be a politically useful fiction; he has yet to deny them. Siddhartha Shankar Ray and I met last in July 2009, when I gave him a copy of this 2005 volume I had created, which pleased him much. “I will call her and her people to a meeting here so you can meet them and tell them that directly”. It never transpired. In our last phone conversation I mentioned to him my plans of creating a Public Policy Institute — an idea he immediately and fully endorsed as being essential though adding “I can’t be part of it, I’m on my way out”. “I’m on my way out”. That was Siddhartha Shankar Ray — always intelligent, always good-humoured, always public-spirited, always a great Indian, my only friend among politicians other than the late Rajiv Gandhi himself. “There are few people in post-Independence India who could equal his magnificent contribution to India’s growth and progress”. To what facts did MK Narayanan, a former Intelligence Bureau chief, mean to refer with this extravagant praise of Ray? 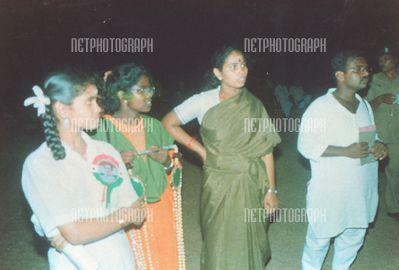 Was Narayanan referring to Ray’s politics for Indira Gandhi? To Ray’s Chief Ministership of Bengal? To Ray’s Governorship of Punjab? You will have to ask him but I doubt that was what he meant: I surmise Narayanan’s eulogy could only have resulted after he confirmed with Ray on his hospital-bed the story I had told him, and that he was referring to the economic and political results that followed for the country once Ray had introduced me in September 1990 to Rajiv Gandhi. But I say again, you will have to ask MK Narayanan himself what he and Ray talked about in hospital and what was the factual basis of Narayanan’s precise words of praise. To what facts exactly was MK Narayanan, former intelligence chief, meaning to refer when he stated Siddhartha Shankar Ray had made a “magnificent contribution to India’s growth and progress”? Also Jagdish may or may not have remembered our only meeting, when he and I had had a long conversation on the sofas in the foyer of the IMF in Washington when I was a consultant there in 1993 and he had come to meet someone; he was surprisingly knowledgeable about my personal 1990 matter in the Supreme Court of India which astonished me until he told me his brother the Supreme Court judge had mentioned the case to him! and September 1990 when I gave Rajiv the University of Hawaii perestroika-for-India project results developed since 1986, which came to politically spark the 1991 reform in the Congress’s highest echelons from months before Rajiv’s assassination. There may have been no such claim made by Bhagwati and Panagariya because there may be no such evidence. Between 1984 and 1990, Professor Bhagwati’s research interests were away from Indian economic policy while his work on India through 1970 and 1975 had been fully and reasonably accounted for as of 1984 by myself. Now this light self-deprecating reference by Manmohan at an investors’ lunch in New York “for many big CEOs” was an evident attempt at political humour written by his speech-writer. It was clearly, on its face, not serious history. If we test it as serious history, it falls flat so we may only hope Manmohan Singh, unlike Jagdish Bhagwati, has not himself come to believe his own reported joke as anything more than that. 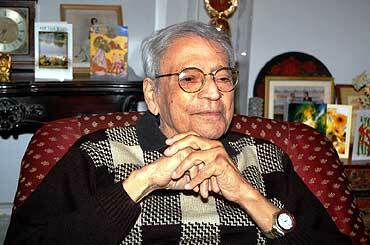 The Bhagwati-Desai volume being referred to was developed from 1966-1970. India saw critical economic and political events in 1969, in 1970, in 1971, in 1972, in 1975, in 1977, etc. Those were precisely years during which Manmohan Singh himself moved from being an academic to becoming a Government of India official, working first for MG Kaul, ICS, and then in 1971 coming to the attention of PN Haksar, Indira Gandhi’s most powerful bureaucrat between 1967 and 1974: Haksar himself was Manmohan Singh’s acknowledged mentor in the Government, as Manmohan told Mark Tully in an interview. had told me Manmohan was very highly regarded in government circles with economics degrees from both Cambridge and Oxford, and my father had added, to my surprise, what was probably a Haksarian governmental view that Manmohan was expected to be India’s Prime Minister some day. That was 1973. PN Haksar had been the archetypal Nehruvian Delhi intellectual of a certain era, being both a fierce nationalist and a fierce pro-USSR leftist from long before Independence. I met him once on 23 March 1991, on the lawns of 10 Jan Path at the launch of General V Krishna Rao’s book on Indian defence which Rajiv was releasing, and Haksar gave a speech to introduce Rajiv (as if Rajiv needed introduction on the lawns of his own residence); Haksar was in poor health but he seemed completely delighted to be back in favour with Rajiv, after years of having been treated badly by Indira and her younger son. Had Manmohan Singh in the early 1970s gone to Haksar — the architect of the nationalisation of India’s banking going on right then — and said “Sir, this OECD study by my friend Bhagwati and his wife says we should be liberalising foreign trade and domestic industry”, Haksar would have been astonished and sent him packing. There was a war on, plus a massive problem of 10 million refugees, a new country to support called Bangladesh, a railway strike, a bad crop, repressed inflation, shortages, and heaven knows what more, besides Nixon having backed Yahya Khan, Tikka Khan et al. Then after Bangladesh and the railway strike etc, came the rise of the politically odious younger son of Indira Gandhi and his friends (at least one of whom is today Sonia Gandhi’s gatekeeper) followed by the internal political Emergency, the grave foreign-fueled problem of Sikh separatism and its control, the assassination of Indira Gandhi by her own Sikh bodyguards, and the Rajiv Gandhi years as Prime Minister. Certainly it was Rajiv’s arrival in office and Benazir’s initial return to Pakistan, along with the rise of Michael Gorbachev in the changing USSR, that inspired me in far away Hawaii in 1986 to design with Ted James the perestroika-projects for India and Pakistan which led to our two volumes, and which, thanks to Siddhartha Shankar Ray, came to reach Rajiv Gandhi in Opposition in September 1990 as he sat somewhat forlornly at 10 Jan Path after losing office. “There is a tide in the affairs of men, Which taken at the flood, leads on to fortune…. Changing the direction of a ship of state is very hard, knowing in which direction it should change and to what degree is even harder; it has rarely been something that can be done without random shocks arising let aside the power of vested interests. Had Rajiv Gandhi lived to form a new Government, I have little doubt I would have led the reform that I had chalked out for him and that he had approved of; Sonia Gandhi would have remained the housewife, mother and grandmother that she had preferred to be and not been made into the Queen of India by the Congress Party; Manmohan Singh had left India in 1987 for the Nyerere project and it had been rumoured at the time that had been slightly to do with him protesting, to the extent that he ever has protested anything, the anti-Sikh pogrom that some of Rajiv’s friends had apparently unleashed after Indira’s killing; he returned in November 1990, joined Chandrashekhar in December 1990, left Chandrashekhar in March 1991 when elections were announced and was biding his time as head of the UGC; had Rajiv Gandhi lived, Manmohan Singh would have had a governor’s career path, becoming the governor of one state after another; he would not have been brought into the economic reform process which he had had nothing to do with originating; and finally Pranab Mukherjee, who left the Congress Party and formed his own when Rajiv took over, would have been likely rehabilitated slowly but would not have come to control the working of the party as he did. I said in my Lok Sabha TV interview on 5 9 December 2012 that there have been many microeconomic improvements arising from technological progress in the last 22 years but the macroeconomic and monetary situation is grim, because at root the fiscal situation remains incoherent and confused. I do not see anyone in Manmohan Singh’s entourage among all his many acolytes and flatterers and apologists who is able to get to these root problems. We shall address these issues in Part II. What Manmohan Singh said in self-deprecating humour at an investors’ lunch in New York in 1992 is hardly serious history as Jagdish Bhagwati has seemed to wish it to be. Besides, it would have been unlike Manmohan, being the devoted student of Joan Robinson and Nicholas Kaldor as he told Mark Tully, to have taken such a liberalising initiative at all. 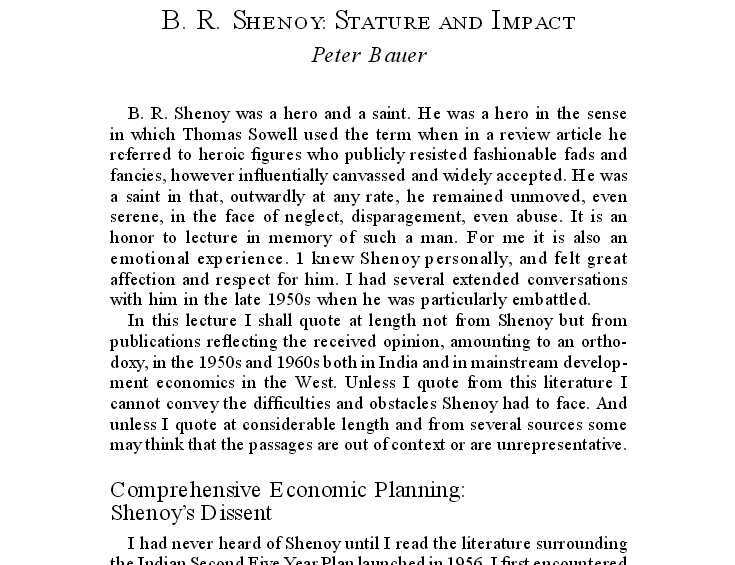 Furthermore, the 1969 American Economic Review published asurvey of Indian economic policy authored by his Delhi University colleagues Jagdish Bhagwati and Sukhamoy Chakravarty which made little mention of his work, and it would have been unreasonable to expect him to have been won over greatly by theirs. Perhaps there is a generous review from the 1970s by Manmohan Singh of the Bhagwati-Desai volume hidden somewhere but if so we should be told where it is. 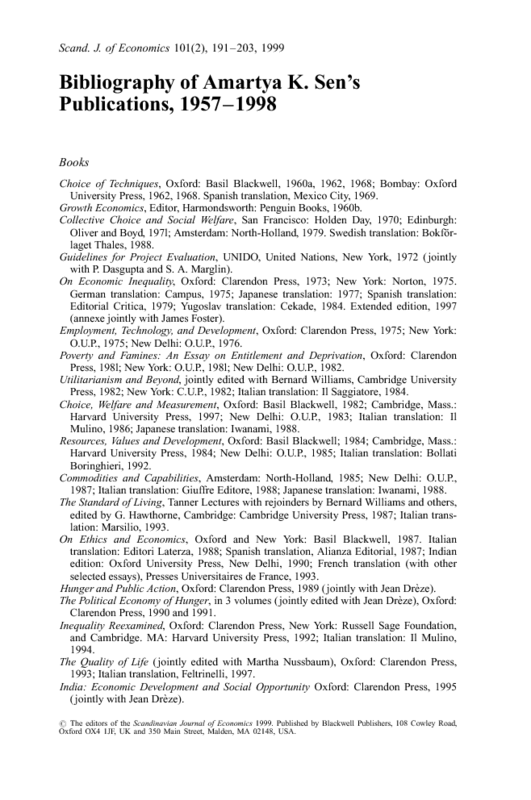 A list of Manmohan Singh’s publications as an economist do not seem easily available anywhere. But why has Bhagwati been forever silent about the equally if not more forceful and fundamental criticism of “the policy framework”, and advocacy of its “total overhaul”, by scholars in the 1950s, a decade and more earlier than him, when he and Manmohan and Amartya were still students? Specifically, by BR Shenoy, Milton Friedman, and Peter Bauer? The relevant bibliography from the mid 1950s is given in Footnote 1 of my 1984 work. 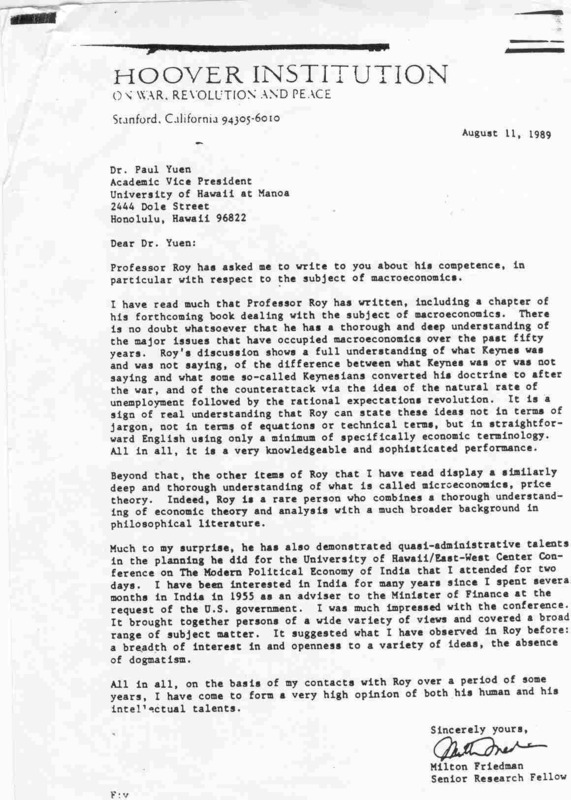 Peter Tamas Bauer (1915-2002) played a vital role in all this as had he himself not brought the Friedman 1955 document to my attention I would not have known of it. 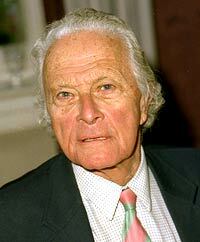 Later he may have been responsible for the London Times writing its lead editorial of 29 May 1984 on my work. Now Milton had sent me in 1984, besides the original of his November 1955 memorandum to the Government of India, a confidential 1956 document also which seemed to have been written for US Government consumption. I did not publish this in Hawaii in 1989 as I was having difficulty enough publishing the 1955 memorandum. I gave it to be published on the Internet some years ago, and after Milton’s passing, I had it published in The Statesman on the same day as my obituary of him. It makes fascinating reading, especially about Mahalanobis and Shenoy, of how what Bhagwati wishes to call “the policy framework” that, he claims, he and Desai called for a “total overhaul” of, came to be what it was in the decade earlier when he and Amartya and Manmohan were still students. “economic opinion of the Chicago school variety”. If I have been candid or harsh in my assessments of Jagdish Bhagwati and Manmohan Singh as they relate to my personal experience with the change of direction in Indian economic policy originating in 1990-1991, I am afraid I must be equally so with Bhagwati’s current opponent in debate, Amartya Sen. Certainly I have found the current spat between Bhagwati and Sen over India’s political economy to be dismal, unscholarly, unscientific and misleading (or off-base) except for it having allowed a burst of domestic policy-discussion in circumstances when India needs it especially much. None of this criticism is personal but based on objective experience and the record. My criticism of Professor Bhagwati and Dr Manmohan Singh does not diminish in the slightest my high personal regard for both of them. Similarly, Amartya Sen and I go back, momentarily, to Hindustan Park in 1964 when there was a faint connection as family friends from World War II (as Naren Deb and Manindranath Roy were friends and neighbours, and we still have the signed copy of a book gifted by the former to the latter), and then he later knew me cursorily when I was an undergraduate at LSE and he was already a famous professor, and I greatly enjoyed his excellent lectures at the LSE on his fine book On Economic Inequality, and a few years later he wrote in tangential support of me at Cambridge for which he was thanked in the preface to my 1989 Philosophy of Economics — even though that book of mine also contained in its Chapter 10 the decisive criticism of his main contribution until that time to what used to be called “social choice theory”. Amartya Sen had also written some splendid handwritten letters, a few pages of which remain with me, which puzzled me at the time due to his expressing his aversion to what is normally called ‘price theory’, namely the Marshallian and/or Walrasian theory of value. Professor Sen and I met briefly in 1978, and then again in 2006 when I was asked to talk to him in our philosophical conversation which came to be published nicely. In 2006 I told him of my experience with Rajiv Gandhi in initiating what became the 1991 reform on the basis of my giving Rajiv the results of the Hawaii project, and Amartya was kind enough to say that he knew I had been arguing all this “very early on”, referring presumably to the 1984 London Times editorial which he would have seen in his Oxford days before coming to Harvard. “Questioner: You are being called the creator of the Food Security Bill. Amartya Sen: Yes, I don’t know why. That is indeed a paternity suit I’m currently fighting. People are accusing me of being the father”. Had such a passage reached me in an undergraduate essay, I would have considered it incoherent waffle, and I am afraid I cannot see why merely because it is authored by an eminence at Harvard and his co-author, the evaluation should be any different. 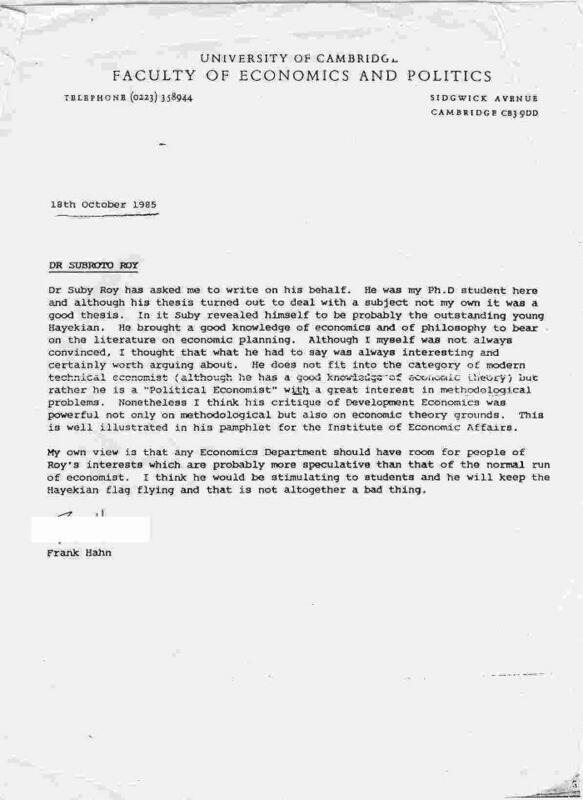 I am reminded of my encounter in 1976 with Joan Robinson, the great tutor in 1950s Cambridge of Amartya and Manmohan: “Joan Robinson cornered me once and took me into the office she shared with EAG… She came at me for an hour or so wishing to supervise me, I kept declining politely… saying I was with Frank Hahn and wished to work on money… “What does Frankie know about India?” she said… I said I did not know but he did know about monetary theory and that was what I needed for India; I also said I did not think much about the Indian Marxists she had supervised… and mentioned a prominent name… she said about him, “Yes most of what he does can go straight into the dustbin”…” The Indian Marxist whom I had referred to in this conversation with Joan was not Amartya but someone else much younger, yet her candid “can go straight into the dustbin” still applies to all incoherent waffle, whomsoever may produce it. Indeed, Amartya Sen, if anyone, really should get down to writing his memoirs, and candidly so in order to explain his own thinking and deeds over the decades to himself and to the world in order that needless confusions do not arise. “the greatest living scholar of the original philosopher of the free market, Adam Smith”! is how consistently these works display his avoidance of all neoclassical economics, and the absence of all of what is normally called ‘price theory’, namely the Marshallian and/or Walrasian theory of value. No “neoclassical economics” anywhere here for sure! “has been one of the themes even in my earliest writings (including “Choice of Techniques” in 1960 and “Growth Economics” in 1970)”. 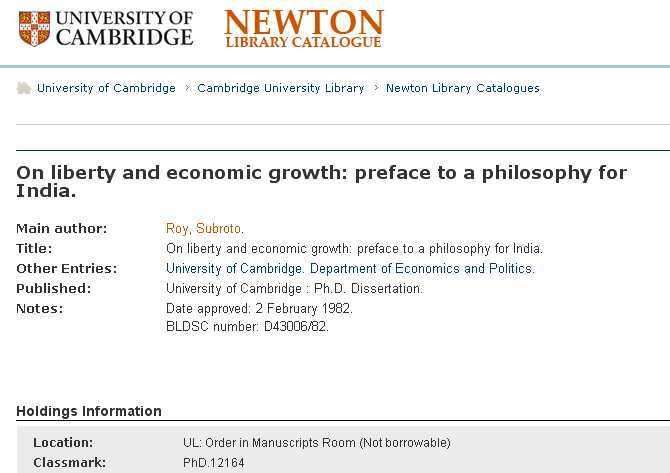 This is a very peculiar opinion indeed to have been expressed by Professor Sen about his own work because the 1970 volume Growth Economics listed above among his books hardly can be said at all to be one of his own “earliest writings” as he now describes it to have been! What had happened back then was that Sen, as someone considered a brilliant or promising young Indian economist at the time, had been asked by the editors of the famous Penguin Modern Economics Readings series to edit the specific issue devoted to growth-theory — a compendium of classic already-published essays including those of Roy Harrod, Evsey Domar, Robert Solow and many others, to which young Amartya was given a chance to write an editorial Introduction. Every economist familiar with that literature knows too that the growth-theory contained in that volume and others was considered highly abstract and notoriously divorced from actual historical processes of economic growth in different countries. Everyone also knew that the individual editors in that famous Penguin Modern Economics Series were of relative unimportance as they did not commission new papers but merely collected classics already published and wrote an introduction. “theory of international trade and policy, economic development”. Neither Sen nor Bhagwati mentioned growth economics or economic history or even general economic theory, microeconomics, macroeconomics, monetary economics, public finance, etc. Furthermore, Sen saying in his letter to The Economist that he has been always interested in economic growth seems to be baseless in light of the list of his books above, other than the Penguin compendium already discussed. I wonder in fact if it might be fairly said that Sen has been on his own subjective journey over the decades around the world seeking to reinvent economics and political economy from scratch, and inventing his own terminology like “capabilities”, “functionings” and yes “entitlements” etc. to help him do so, while trying to assiduously avoid mention of canonical works of modern world economics like Marshall’s Principles, Hicks’s Value and Capital, Debreu’s Theory of Value, or Arrow and Hahn’s General Competitive Analysis, all defining the central neoclassical tradition of the modern theory of value. Does Sen really believes believe he and Drèze have now in 2013 discovered and christened an economic phenomenon named “Asian economic development”? 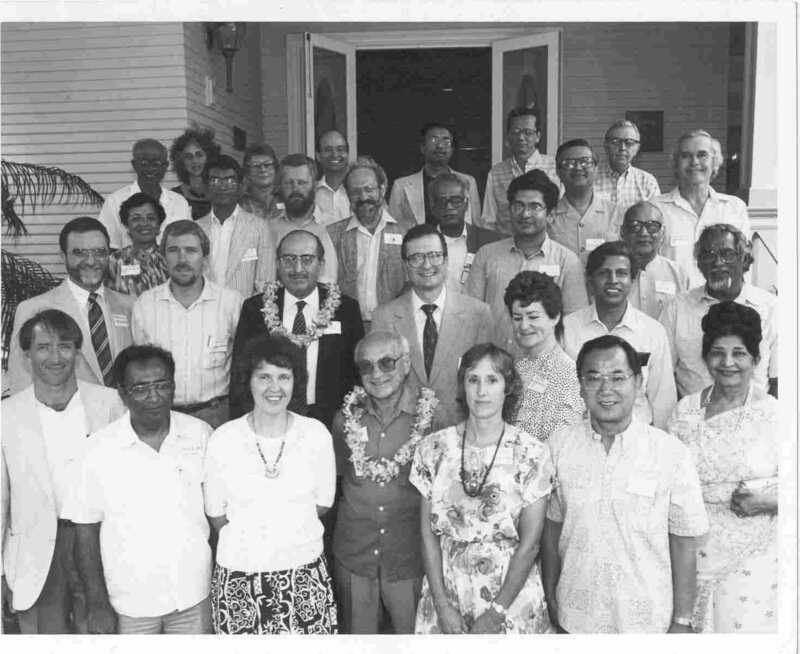 Everyone, from Japan and Bangkok and Manila, to Hawaii and Stanford to the World Bank’s East Asia department, including especially my Hawaii colleague Ted James, and many many others including especially Gerald M Meier at Stanford, were was publishing about all that every month — in the mid 1980s! In fact, our project on India and Pakistan arose in the 1980s from precisely such a Hawaiian wave! Everyone knows all that from back then or even earlier when the Japanese were talking about the “flying geese” model. (And, incidentally, Communist China did not at the time belong in the list.) Where was Amartya Sen in the mid 1980s when all that was happening? Jean Drèze was still a student perhaps. Is Professor Sen seeking to reinvent the wheel again with “Asian Economic Development” being claimed to be invented in 2013 by him and Drèze now? Oh please! That just won’t fly either! Can you see any reference in this 1997 survey to TW Schultz’s 1960 American Economic Association Presidential Address or to Schultz’s classic 1964 book Transforming Traditional Agriculture or to his 1979 Bank of Sweden Prize address? I could not. If one did not know better, one might have thought from Professor Sen’s 1997 survey that there was nothing done worth talking about on the subject of “human capital” from the time of Adam Smith and David Hume until Amartya Sen finally came to the subject himself. 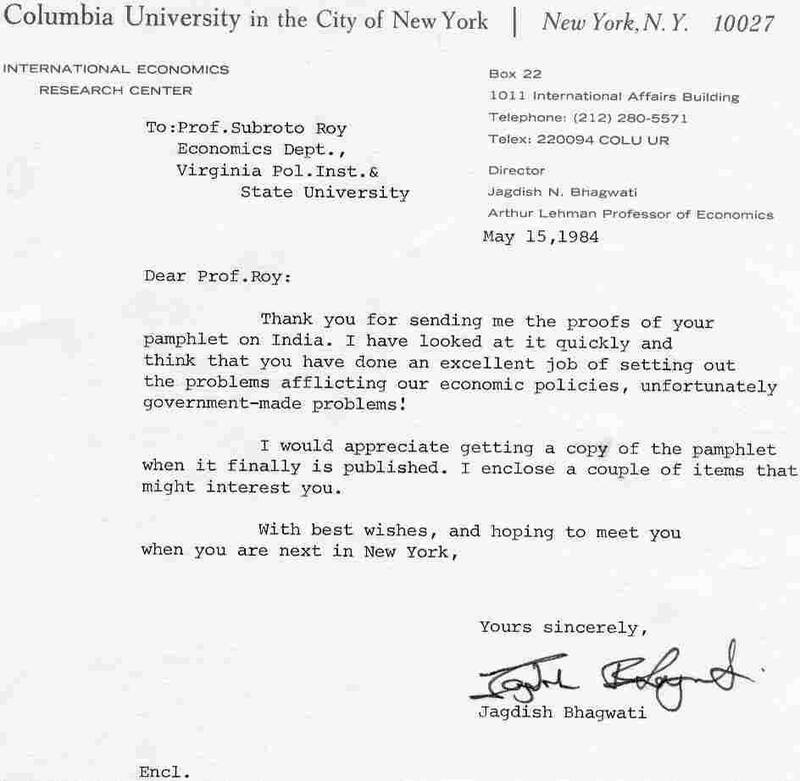 Are Amartya and his acolytes claiming he has invented or reinvented welfare economics ab initio? That before Amartya Sen, we did not know the importance of the able-bodied members of a community assisting those who are not able-bodied? But Marshall was interested in study, serious study, of poverty and its causes and amelioration, which is not something as easy or trivial as pontification on modern television. My 1984 article “Considerations on Utility, Benevolence and Taxation” which also became a chapter of my 1989 Philosophy of Economics surveyed some of Marshall’s opinion. “From each according to his ability, to each according to his need” was a utopian slogan around 1875 from Karl Marx, which generations of passionate undergraduates have found impressive. Amartya Sen deserves to tell us squarely about his engagement with Marx or Marxist thought from his earliest days until now. His commitment in recent decades to democracy and the open and free society is clear; but has he also at the same time all along been committed to a kind of half-baked communist utopia as represented by Marx’s 1875 slogan? Do they suppose the organised business classes have been weakly cooperative and will just allow such massive redistribution to occur without getting the Indian political system to pay them off as well? And how do the organised business classes get paid off? By their getting to take the land of the inhabitants of rural India. And land in an environment of a debauching of money and other paper assets is as good as gold. So the peasants will lose their land to the government’s businessman friends on the one hand while purportedly getting “guaranteed” employment and food from the government’s bureaucrats on the other! A landless, asset-less slave population, free to join the industrial proletariat! Is that what Amartya wants to see in India? It may become what results within a few decades from his and his acolytes’ words and deeds. It is to this list we add “the poor” too, especially if we want to include a slightly later and equally great reformer some miles west of the Terai in the Levant. I said some years ago “As we as infants and children need to be helped to find courage to face the start of life, we when very elderly can need to be helped to find courage to face life’s end”. Old age carries with it the fear of death, fear of the end of life and what that means, which raises the meaning of life itself, or at least of the individual life, because we can hardly grasp what the end of life is if we haven’t what it is supposed to be the end of in the first place. What the very elderly need, as do the dying and terminally ill, is to find courage within themselves to comprehend all this with as much equanimity as possible. Companionship and camaraderie — or perhaps let us call it love — go towards that courage coming to be found; something similar goes for the sick, whether a sick child missing school or the elderly infirm, courage that they are not alone and that they can and will recover and not have to face death quite yet, that life will indeed resume. I have to wonder, What is Professor Rajan on about? Growth in an individual country is affected by the world monetary system? 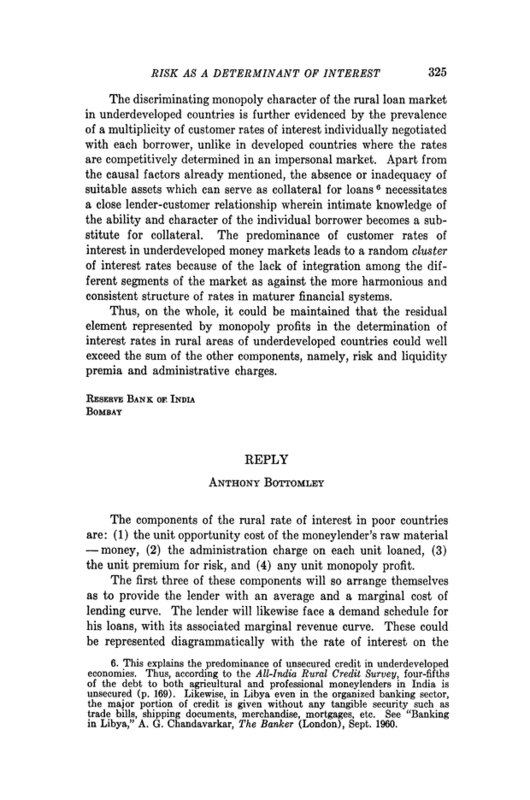 Everyone for almost a century has seen it being a real phenomenon affected by other real factors like savings propensities, capital accumulation, learning and productivity changes, innovation, and, broadly, technological progress… A “source country” needs to consult “recipient” countries before it starts or stops Quantitative Easing? Since when? The latter can always match policy such as to be more or less unaffected… unless of course it wants to ride along for free when the going is good and complain loudly when it is not…. Monetary policy may affect the real economy but as a general rule we may expect growth (a real phenomenon) to be affected by other real factors like savings propensities, capital accumulation, learning and productivity changes, innovation, and, broadly, technological progress.. Professor Raghuram Govind Rajan of the University of Chicago Business School deserves everyone’s congratulations on his elevation to the Reserve Bank of India’s Governorship. But I am afraid I cannot share the wild optimism in India’s business media over this. Of course there are several positives to the appointment. First, having a genuine PhD and that too from a top school is a rarity among India’s policy-makers; Rajan earned a 1991 PhD in finance at MIT’s management school for a thesis titled “Essays on banking” (having to do we are told “with the downside to cozy bank-firm relationships”). Secondly, and related, he has not been a career bureaucrat as almost all RBI Governors have been in recent decades. Thirdly, he has been President of the American Finance Association, he won the first Fischer Black prize in finance of that Association, and during Anne Krueger’s 2001-2006 reign as First Deputy MD at the IMF, he was given the research role made well-known by the late Michael Mussa, that of “Economic Counselor” of the IMF. Hence, altogether, Professor Rajan has come to be well-known over the last decade in the West’s financial media. Given the dismal state of India’s credit in world capital markets, that is an asset for a new RBI Governor to have. On the negatives, first and foremost, if Professor Rajan has renounced at any time his Indian nationality, surrendered his Indian passport and sworn the naturalization oath of the USA, then he is a US citizen with a US passport and loyalty owed to that country, and by US law he will have to enter the USA using that and no other nationality. If that happens to be the factual case, it will be something that comes out in India’s political cauldron for sure, and there will arise legal issues and court orders barring him from heading the RBI or representing India officially, e.g. when standing in for India’s Finance Minister at the IMF in Washington or the BIS in Basle etc. Was he an Indian national as Economic Counselor at the IMF? The IMF has a tradition of only European MDs and at least one American First Deputy MD. The Economic Counselor was always American too; did Rajan break that by having remained Indian, or conform to it by having become American? It is a simple question of fact which needs to come out clearly. Even if Rajan is an American, he and the Government of India could perhaps try to cite to the Indian courts the new precedent set by the venerable Bank of England which recently appointed a Canadian as Governor. What is logically certain is no country can have both relatively low world prices for labour and relatively low world prices for capital! Yet that impossibility seems to have been what India’s purported economic “planners” have planned to engineer! The effect of financial repression over decades may have been to artificially “reverse” or “switch” the risk-premium — making it lucrative for there to be capital flight out of India, with real rates of return on capital within India being made artificially lower than those in world markets! Just as enough export subsidies and tariffs can make a country artificially “reverse” its comparative advantage with its structure of exports and imports becoming inverted, so a labour-rich capital-scarce country may, with enough financial repression, end up causing a capital flight. The Indian elite’s capital flight out of India exporting their adult children and savings overseas may be explained as having been induced by government policy itself. 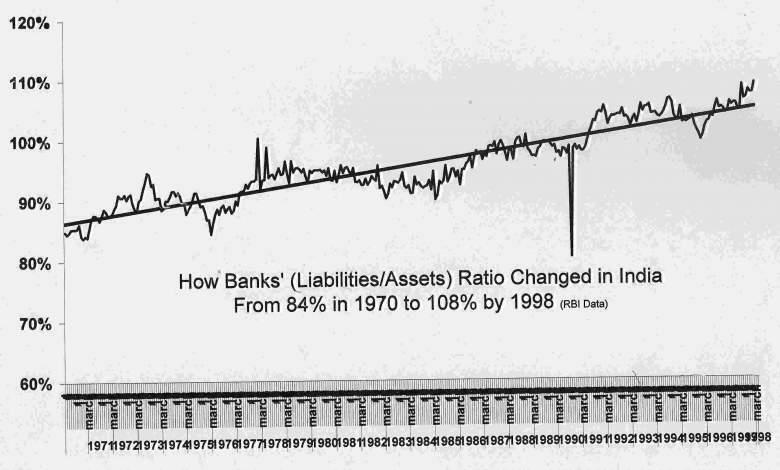 Secondly, Professor Rajan as a finance and banking specialist, will see at once the import of this graph above that has never been produced let aside comprehended by the RBI, yet which uses the purest RBI data. It shows India’s mostly nationalised banks have decade after decade gotten weaker and weaker financially, being kept afloat by continually pumping in of new “capital” via “recapitalisation” from the government that owns them, using more and more of the soft inconvertible currency that has been debauched merrily by government planners. The nationalised banks with their powerful pampered employee unions, like other powerful pampered employee unions in the government sector, have been the bane of India, where a mere 30 million privileged people in a vast population work with either the government or the organised private sector. The RBI’s own workforce at last count was perhaps 75,000… the largest central bank staff in the world by far! Will Rajan know how to bring some system out of the institutional chaos that prevails in Indian banking and central banking? If not, he should start with the work of James Hanson “Indian Banking: Market Liberalization and the Pressures for Institutional and Market Framework Reform”, contained in the book created by Anne Krueger who brought him into the IMF, and mentioned in my 2012 article “India’s Money” linked below. The central question for any 21st century RBI Governor worth the name really becomes whether he or she can stand up to the Finance Ministry and insist that the RBI stop being a mere department of it — even perhaps insisting on constitutional status for its head to fulfill the one over-riding aim of trying to bring a semblance of integrity to India’s currency both domestically and worldwide. Instead it is the so-called “Planning Commission” which has been dominating the Treasury that needs to be made a mere department of the Finance Ministry, while the RBI comes to be hived off to independence! Professor Rajan has apparently said “We do not have a magic wand to make the problems disappear instantaneously, but I have absolutely no doubt we will deal with them.” Of course there are no magic wands but my 3 December 2012 talk in Delhi has described the right path forward, complex and difficult as this may be. The path forward involves system-wide improvements in public finance and accounting using modern information technology to comprehend government liabilities and expenditures and raise their productivity, plus institutional changes in public decision-making like separating banking and central banking from the Treasury while making the planning function serve the Treasury function rather than pretend to be above it. The road described is long and arduous but at its end both corruption and inflation will have been reduced to minimal levels, and the rupee would have acquired integrity enough to become a hard currency of the world in the sense the average resident of, say, rural Madhya Pradesh or Mizoram may freely convert rupees and hold or trade foreign currencies or precious metals as he/she pleases. India signed the Treaty of Versailles as a victor and was an original member of the League of Nations, UN and IMF. Yet sovereign India has failed to develop a currency universally acceptable as a freely convertible world money. It is necessary and possible for India to do so. Without such a national aim, the integrity of the currency continues to be damaged regularly by governmental abuse. 1. “What was relatively weak at LSE was general economic theory. We were good at deriving the Best Linear Unbiased Estimator but left unsatisfied with our grasp of the theory of value that constituted the roots of our discipline. I managed a First and was admitted to Cambridge as a Research Student in 1976, where fortune had Frank Hahn choose me as a student. That at the outset was protection from the communist cabal that ran “development economics” with whom almost all the Indians ended up. I was wholly impecunious in my first year as a Research Student, and had to, for example, proof-read Arrow and Hahn’s General Competitive Analysis for its second edition to receive 50 pounds sterling from Hahn which kept me going for a short time. 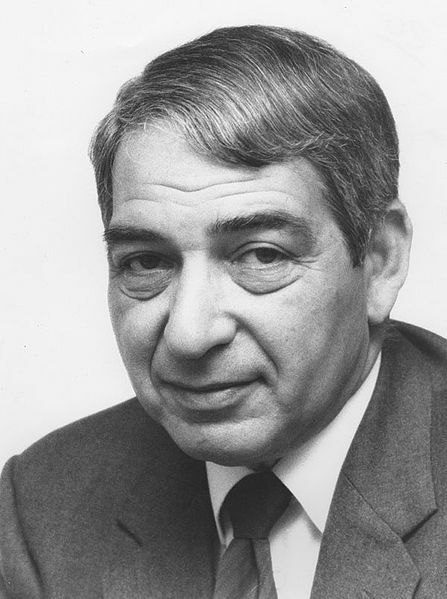 My exposure to Hahn’s subtle, refined and depthless thought as an economist of the first rank led to fascination and wonderment, and I read and re-read his “On the notion of equilibrium in economics”, “On the foundations of monetary theory”, “Keynesian economics and general equilibrium theory” and other clear-headed attempts to integrate the theory of value with the theory of money — a project Wicksell and Marshall had (perhaps wisely) not attempted and Keynes, Hicks and Patinkin had failed at. 2. 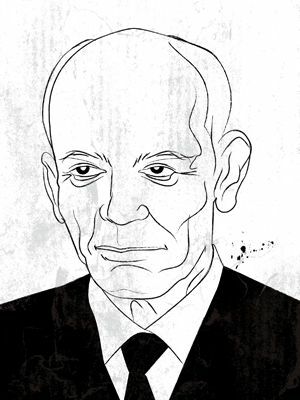 “Frank Hahn believed in throwing students in at the deep end — or so it seemed to me when, within weeks of my arrival at Cambridge as a 21 year old Research Student, he insisted I present my initial ideas on the foundations of monetary theory at his weekly seminar. 5. “I went to Virginia because James M. Buchanan was there, and he, along with FA Hayek, were whom Hahn decided to write on my behalf. Hayek said he was too old to accept me but wrote me kind and generous letters praising and hence encouraging my inchoate liberal thoughts and arguments. Buchanan was welcoming and I learnt much from him and his colleagues about the realities of public finance and democratic politics, which I quickly applied in my work on India…” Hahn told me he did not know Buchanan but he did know Hayek well and that his wife Dorothy had been an original member of the Mont Pelerin Society in 1947 or 1948. Hence I am amused reading a prominent NYU “American Austrian” say about Frank’s passing “I do think economics would have been better off if the Arrow-Debreu-Hahn approach had not been taken so seriously by the profession. I think it turned out to be an intellectual straight-jacket that prevented the discussion of valuable outside-the-box ideas”, and am tempted to paraphrase the closing lines of Tractatus — “Whereof one cannot speak, thereof one must be silent/About what one can not speak, one must remain silent” — to read “Of that of which we are ignorant, we should at least try not to gas about…” Hahn and Hayek were friends, from when Hayek taught at the London School of Economics in Robbins’ seminar, and Hahn was Robbins’ doctoral student. 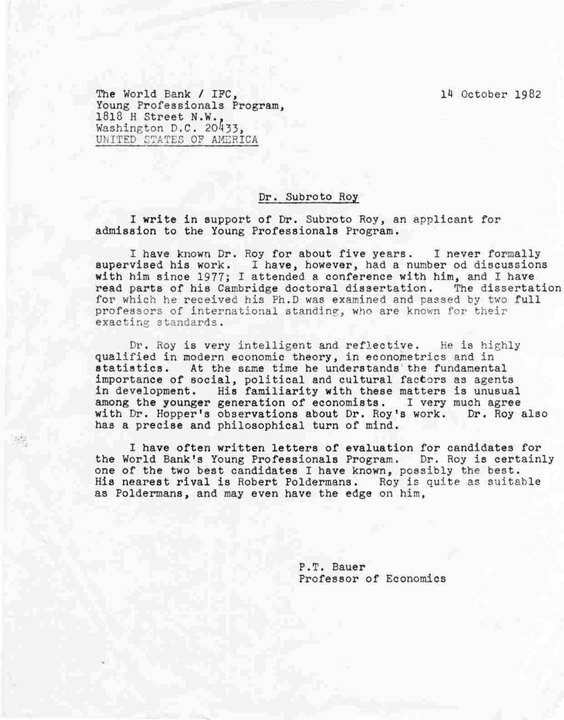 And then five years later in 1985 he calls me “probably the outstanding young Hayekian”, says I had brought “a good knowledge of economics and of philosophy to bear on the literature on economic planning”, had “a good knowledge of economic theory” and that my “critique of Development Economics was powerful not only on methodological but also on economic theory grounds” — all that to me has been a special source of delight. 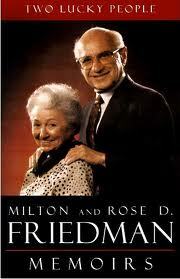 I said of Milton Friedman that he had been “the greatest economist after John Maynard Keynes”; Milton’s critic, Frank Hahn, may have been the greatest economic theorist of modern times. Subroto Roy does not know if he just heard Manmohan Singh say “inflation will soon come down” — excuse me Dr Singh, but how was it you and all your acolytes uniformly said back in July 2010 that inflation would be down to 6% by Dec 2010? 6%?! 16% more likely! I said. Until he explains his previous error, we may suppose he will repeat it. Subroto Roy can stop the Indian inflation and bring integrity to the currency over time, and Manmohan Singh and his advisers cannot (because they have the wrong economic models/theories/data etc and refuse to change), but then they would have to make me a Minister and I keep getting reminded of what Groucho Marx said about clubs that would have him. Subroto Roy does not think Dr Manmohan Singh or his acolytes and advisers, or his Finance Minister and his acolytes and advisers, understand Indian inflation. If you do not understand something, you are not likely to change it. Subroto Roy says the central difference between the Subroto Roy Model for India as described in 1990-1991 to Rajiv Gandhi in his last months, and the Manmohan Singh Model for India that has developed since Rajiv’s assassination, is that by my model, India’s money and public finances would have acquired integrity enough for the Indian Rupee to have become a hard currency of the world economy by now, allowing all one billion Indians access to foreign exchange and precious metals freely, whereas by the model of Dr Singh and his countless supporters, India’s money and public finance remain subject to government misuse and abuse, and access to foreign exchange remains available principally to politicians, bureaucrats, big business and its influential lobbyists, the military, as well as perhaps ten or twenty million nomenclatura in the metropolitan cities. Subroto Roy reads in *Newsweek* today (Aug 19) Manmohan Singh “engineered the transition from stagnant socialism to a spectacular takeoff”. This contradicts my experience with Rajiv Gandhi at 10 Janpath in 1990-91. Dr Singh had not returned to India from his years with Julius Nyerere in his final assignment before retiring from the bureaucracy when Rajiv and I first met on 18 September 1990. Subroto Roy notes that current Indian public policy discussion has thus far failed to realise that the rise in money prices of real goods and services is the same as the fall in the real value of money. Subroto Roy reads in today’s pink business newspaper the GoI’s debt level at Rs 38 trillion & three large states (WB, MH, UP) is at Rs 6 trillion, add another 18 for all other large states together, another 5 for all small states & 3 for errors and omissions, making my One Minute Estimate of India’s Public Debt Stock Rs 70 trillion (70 lakh crores). Interest payments at, say, 9%, keep the banking system afloat, extracting oxygen from the public finances like a cyanide capsule. Subroto Roy observes Parliament to be discussing Indian inflation but expects a solution will not be found until the problem has been comprehended. Subroto Roy continues to weep at New Delhi’s continual debauching of the rupee. Subroto Roy is amused to read Dr Manmohan Singh’s Chief Acolyte say in today’s pink business newspaper how important accounting is in project-appraisal — does the sinner repent after almost single-handedly helping to ruin project-appraisal & government accounting & macroeconomic planning over decades? I rather doubt it. For myself, I am amused to see chastity now being suddenly preached from within you-know-where. Subroto Roy does not think the Rs 90 billion (mostly in foreign exchange) spent by the Manmohan Singh Government on New Delhi’s “Indira Gandhi International Airport Terminal 3” is conducive to the welfare of the common man (“aam admi”) who travels, if at all, mostly within India and by rail. Subroto Roy hears Dr Manmohan Singh say yesterday “Global economic recession did not have much impact on us as it had on other countries”. Of course it didn’t. I had said India was hardly affected but for a collapse of exports & some fall in foreign investment. Why did he & his acolytes then waste vast public resources claiming they were rescuing India using a purported Keynesian fiscal “stimulus” (aka corporate/lobbyist pork)? Where are the Reserve Bank’s Macroeconomic Models? You said yesterday, April 20 2010, that the Reserve Bank of India has a macroeconomic model which it uses but which you had personally not seen. I have given two lectures at your august offices, one by invitation of Governor Jalan and Deputy Governor Reddy on April 29, 2000 to address the Conference of State Finance Secretaries, the other on May 5, 2005 to address the Chief Economist’s Monetary Economics Seminar. On both occasions, I had inquired of the RBI’s own models by which I could contrast my own but came to understand there were none. If since then the RBI has now constructed a macroeconomic model of India’s economy, it is splendid news. May I request the model be released publicly on the Internet at once, so its specifications of endogenous and exogenous variables, assumed coefficients, and sources of time-series data all may be seen by everyone in the country and abroad? Scientific scrutiny and replication of results would thus come to be permitted. I would be especially interested to know the demand for money function that you have used. I well remember my meeting with the late great Sukhamoy Chakravarty on July 14 1987 at his Planning Commission offices, when he signed and gifted me his last personal copy of the famous Reserve Bank report by the committee he had chaired and of which he told me personally Dr Rangarajan had been the key author – that report may have contained the first official discussion of the demand for money function in India. 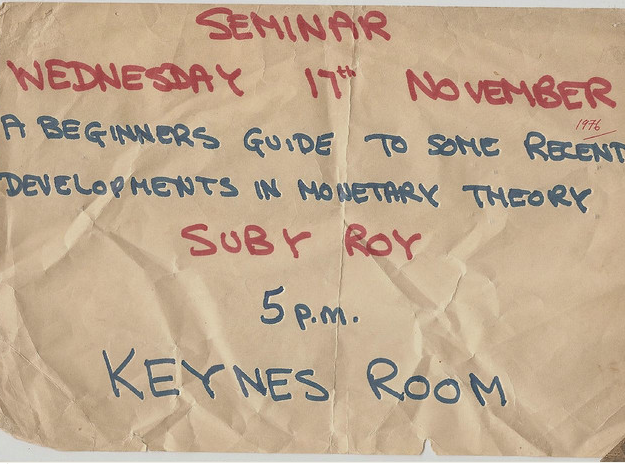 For a half dozen or so years from about 1996 onwards, I taught graduate engineers a course on microeconomic theory as part of an MBA syllabus. The level would have been that of Varian’s undergraduate text as well as, where possible, Henderson & Quandt’s intermediate text (Postscript: and, I now recall, a little of Arrow & Hahn Chapter 2 if there was time). It was quite successful as most students were very serious and had a more than adequate mathematical background.